At the height of papal rule in the middle of the Dark Ages, the Roman Church decided to restore Christian access to holy places in and around Jerusalem. 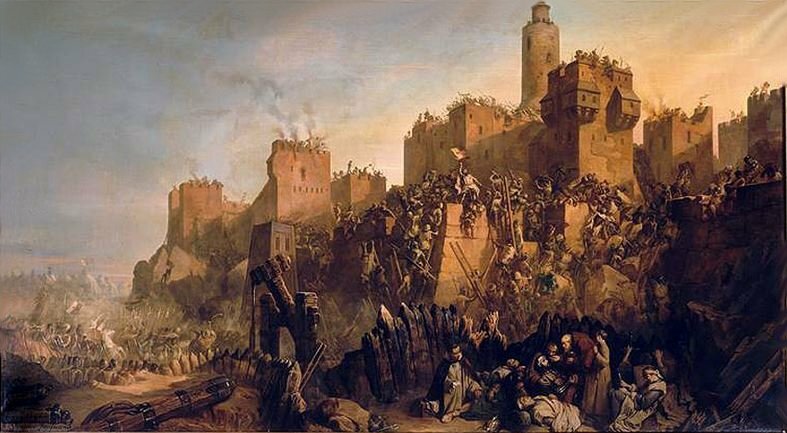 Following the first crusade six additional major crusades followed and numerous minor ones directed against what the Church regarded as her heretical enemies: the Albigensian Cathars of southern France, the Hussites in Bohemia, the Waldenses in the Alps. These were all Christians but rejected Roman's teachings. For this she "made war with the saints." 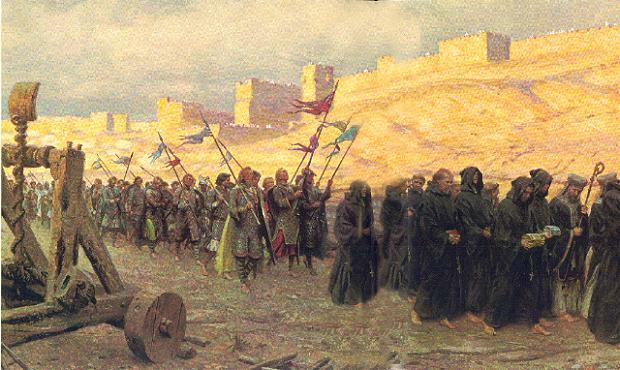 • June 12 Crusaders reach Wieselburg/Hungary where thousands are slain. By June 24 they are in Semlin, Hungary where thousands more are killed. p. 23. H.Wollschlger: Die bewaffneten Wallfahrten gen Jerusalem, Zrich 1973. (In German and out of print. But includes a full list of original medieval Christian chroniclers' writings).